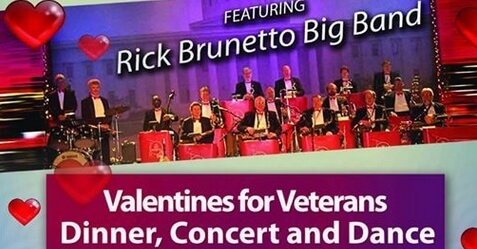 Columbus VA is hosting the annual Valentines for Veterans Concert featuring the Rick Brunetto Big Band. Tickets are FREE and can be picked up at American Legion Office at 280 East Broad Street (map) Monday, Wednesday and Friday from 9:00am to 1:00pm. For more information on this very special Valentines Day event, please call 614-388-7787.